Are Dental Health and Back Pain Connected? How Are Back Pain and Dental Health Connected? Chiropractors, orthopedists and spine specialists rarely make a link between a patient’s back pain and any issues they may be experiencing with their teeth–or vice versa when it comes to dentists and their patients. Yet spine surgeons, Beverly Hills patients rely on, believe there is a possible connection between dental health and back pain that could result in welcome relief for some patients. Muscles from the upper cervical area (upper neck) and a dural tube encircling the brain travel through lower skull structures (teeth, jawbone) to the sacrum, a triangular-shaped bone at the base of the spine. Any issues anywhere within this interconnected structure will affect different points along the connection. In some patients with back pain of an unknown origin, a loss of vertical height on certain teeth may result in compression on parts of the spine. 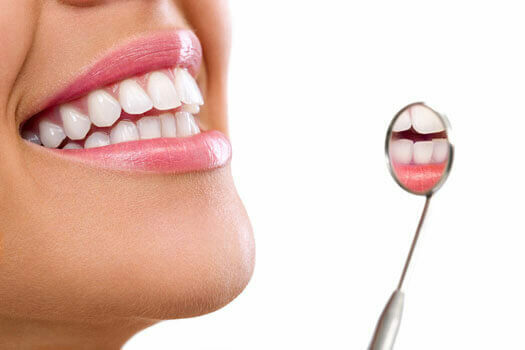 Treatment, in this case, involves restoring the vertical height of the affected teeth. It’s believed that misalignment of the teeth, especially among the posterior teeth, when the jaw is closed may be the trigger for the pain sometimes experienced in the back. A Danish study suggests a possible connection between a bacterial infection within spinal discs and tooth brushing. Applying only to patients with herniated discs (since discs in the back are isolated from bacteria when there’s no herniation), the idea is that bacteria from the mouth gets into the bloodstream from tiny holes in the gums and makes its way to the affected disc(s). The body’s reaction to this infection is experienced as back pain. Antibiotics often used to treat gum infections may provide relief. Treatment can also include adding resin overlays to adjust tooth height. For patients not responding to traditional conservative back pain treatments, the dental health connection presents another source of possible relief. This isn’t to say that all dental misalignments are going to affect the spine. Observant patients, however, will likely need to alert their doctors to the possible source of their discomfort since dentists and doctors aren’t yet on the same page with this particular back pain correlation. If you’ve seen a dentist about any oral health issues and are still experiencing significant back pain, it might be time to consider alternatives including spinal fusion and motion-preserving spine procedures. For more information, call The Spine Institute Center for Spinal Restoration in Beverly Hills at (310) 828-7757 and request a consultation with one of our board-certified orthopedic surgeons.